Composed by Wolfgang Amadeus Mozart (1756-1791). Sacred, Classical era. Choir part. 6 pages. 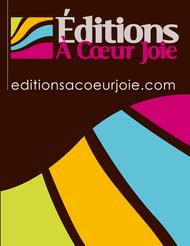 Published by Editions a Coeur Joie (CJ.A111300992).